This series of diagrams and charts shows what changed with the last elections. 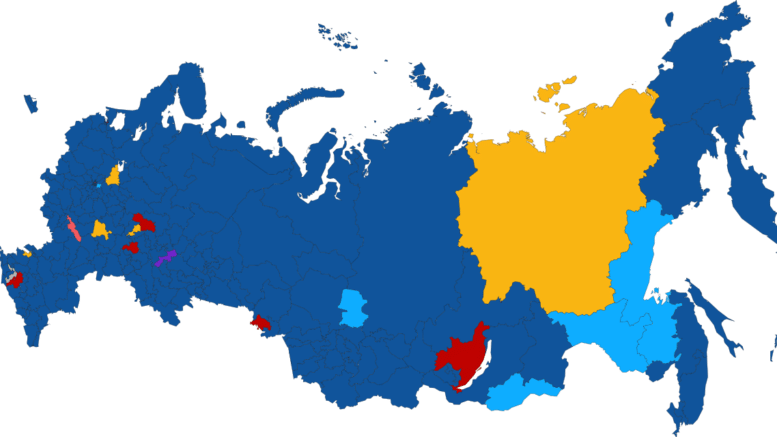 The Carnegie Moscow Center looks, via polls and election numbers, at the current state of Russia’s liberal parties and what they can do to improve their position. Levada Center was added to the list of non-governmental organizations that receive foreign funding. A Justice Ministry spokesperson said it had been receiving most of its foreign financing from the United States. The new generation is steeped in the state-controlled system that Putin has built. While some of his contemporaries might have had the stature to challenge the president in private, the younger officials owe their entire careers to him. Is Russia roaring back unstoppable? Is Russia on the brink of collapse? The answer is somewhere in the middle. This conversation covers recent political and economic events in Europe and Russia and particularly how Brexit may affect EU-Russia relations. 46 percent of Russians believe that last month’s State Duma elections were carried out fairly; 22 percent refused to answer. With less money to spend, consumers also stayed away from shopping, with retail sales, a barometer of customer demand in Russia, down 5.1 percent in August and following a 5.2 percent decline in July. People in Russia do not view the current economic crisis as a disaster and are not giving up on their plans to have children, say analysts. One of the crucial factors keeping the birth rate stable is low unemployment.